I think it was the smell of salmon which turned me off from the beginning. That combined with my love for the ocean and it’s beings had me struggling to justify eating them when there are so many other things I enjoy consuming. But like most of us as I get older my palette has changed and I am up for trying to new things. Bit by bit my family has watched to edge out into the realm of seafood, while still staying relatively safe on shore. For instance a couple weeks ago I had my first fish taco. Yes I have been to Mexico numerous times and tried shrimp there maybe once or twice but never fish. I know, I know the classic Baja California scene of fish tacos on the beach, my just tended to be chicken or veggie. But that fish taco I just had was A-W-E-S-O-M-E! It was from one of our amazing local Mexican restaurants and was truly delicious. So bit by bit I am exploring. Zoe on the other hand. This girl likes fish. In fact I feel comfortable saying that she flat out L-O-V-E-S her some fish. Zoe had spent some time with my mom the other day and she commented how Zoe was enjoying salmon she made for her. 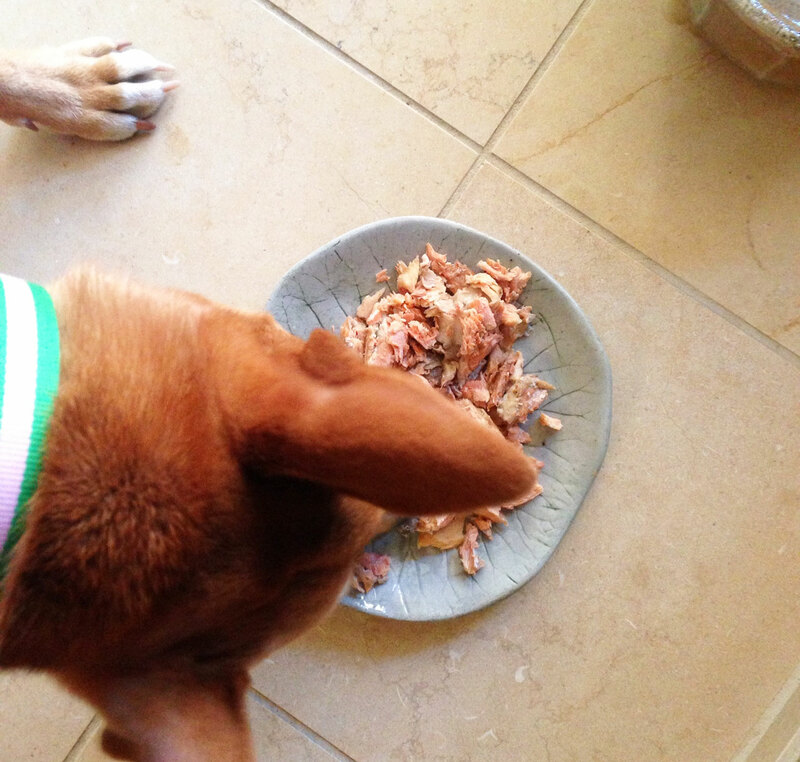 Then I was at my moms house for dinner and my mom put some salmon on a plate for Zoe. This was not a small plate, and there was not a small amount of salmon on the plate. This was a normal meal size plate and the ENTIRE plate was full of salmon. And not just any salmon, salmon that my step-dad had line-caught in British Columbia on a beautiful river known for fishing. I thought there was no way she was going to finish this huge plate, she isn’t a big eater. But my mom reinforced that she had already eaten that same amount earlier in the day. Well Zoe not only proceeded to eat that plate of salmon earlier that day, but also that plate that night, and, another one right after it. Let’s be clear, Zoe ate 3 full plates of salmon. And probably would have kept going if there was more. So me, I am still struggling with fish, let alone salmon, granted I am making progress, but my girl Zoe, she loves her fish!